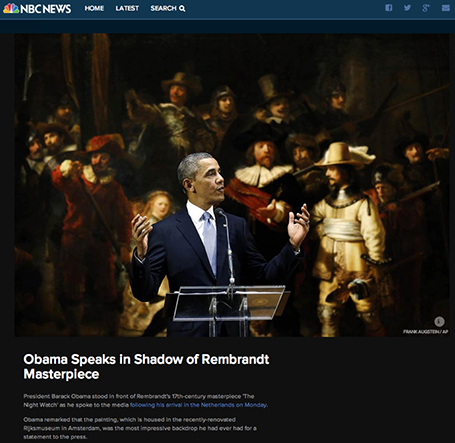 The Obama press conference yesterday in front of Rembrandt’s The Night Watch is an example of how a nice presenter background can make a big visual impact. The dark painting background looks great in close up photos, although less interesting from a distance. Conference organisers should think beyond the curtain, blank wall, or list of sponsor logos. Content is under a Creative Commons license. Powered by Blogger.